PRG is American owned and operated by Rance Rathie and Travis Smith. Rance and Travis are born and bred flyfishermen who have been guiding anglers in Montana since their teens. 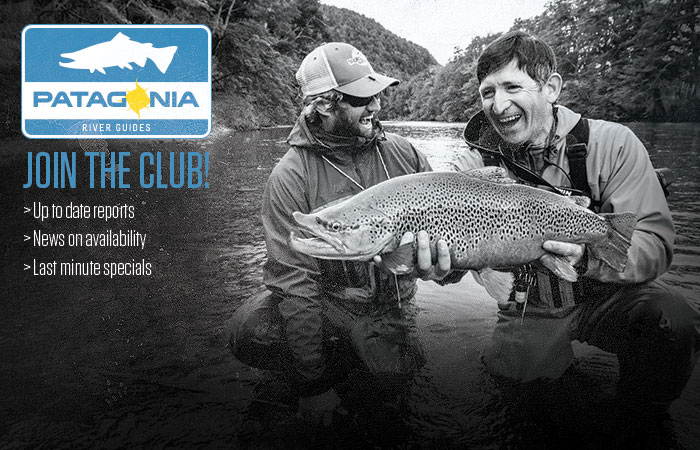 Their passion for fishing and guiding ultimately led them to Argentina where they saw a unique opportunity to apply their extensive knowledge and expertise to build the most comprehensive and professional flyfishing operation in Patagonia. For over ten years, they’ve cultivated a staff of Argentine employees, guides and managers that is unmatched in terms of experience, professionalism and passion. Alex Knüll, partner and director of PRG North, brings three generations of experience and over ten years of personal knowledge of the San Martin area. 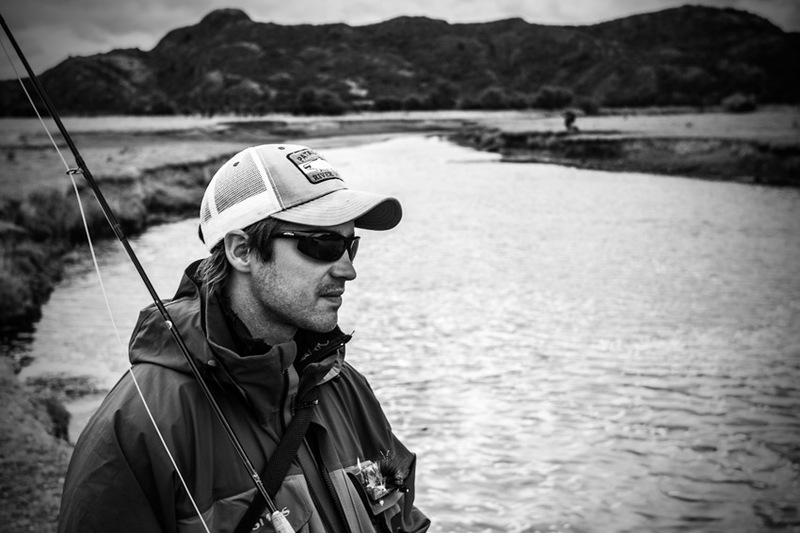 Esteban Oszust, head guide of PRG, is a second-generation flyfishing guide who grew up exploring Argentina’s National Park system as his backyard. 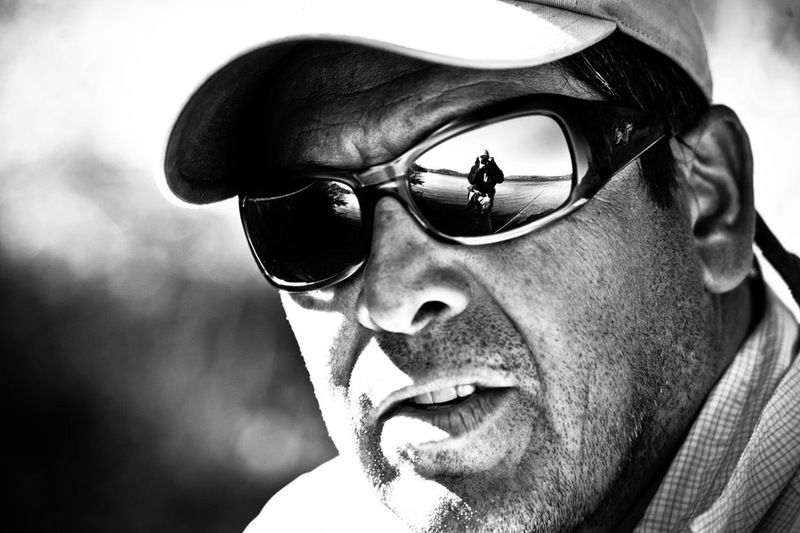 Esteban, along with John Roberts, PRG’s most senior guide with over twenty years of management/guide experience in flyfishing and hunting lodges throughout Argentina, help to shape, refine and execute the ultimate flyfishing adventure for PRG on a daily basis. As long-time professional guides, Rance and Travis understand that a good guide can often be the difference between an average trip and the trip of a lifetime, which is why they take great care in maintaining the best guide staff in the region. Without exception, PRG’s guides are talented professionals, excellent and enthusiastic teachers, passionate fishermen and expert oarsmen. Apart from their extensive fishing skills, they also enjoy sharing their local knowledge of flora, fauna, culture and history. Rance’s fishing, guiding, and angling experience is second to none. 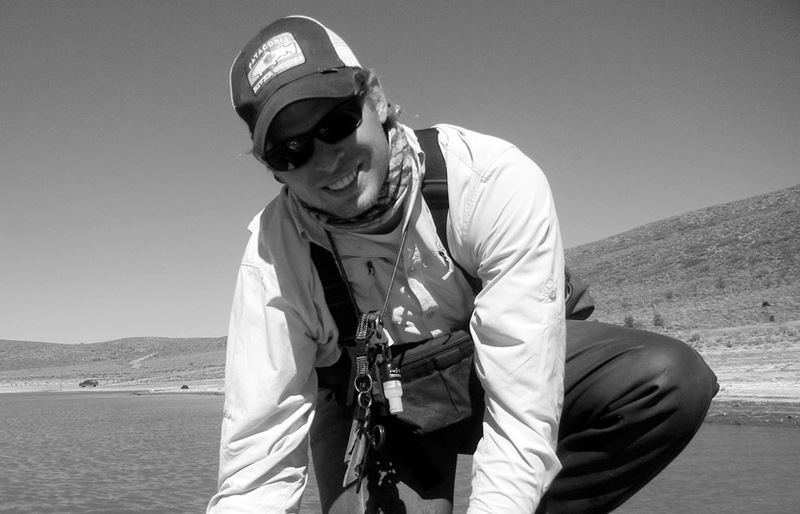 He is one of a handful of third-generation guides from Montana, and was brought up with a rod in his hand. Rance spent his younger guide years traveling the planet and guiding in numerous countries like Mongolia, the Bahamas, Argentina, and Chile. 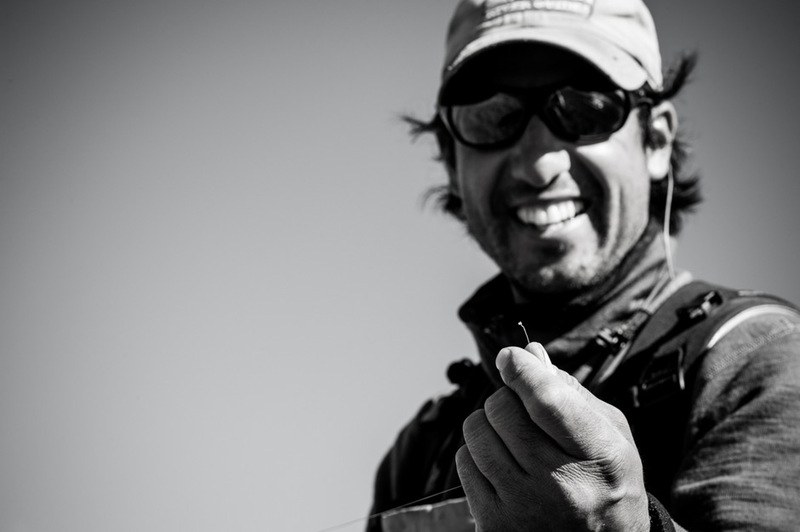 When on the water, Rance is a predator who mostly enjoys fishing through his client’s rod and sharing Patagonia summer days with them. He is a member of the Simms, Winston Rod, Hatch Reel, and RO Drift Boats pro staff and has always enjoyed sharing his casting skills with guests, guides, and friends. He loves Patagonia and sharing his knowledge of flora, fauna, and history with anyone that will listen – including his four children, who he is also anxious to share the “if you can’t row, you can’t go” policy set by his father so his kids in turn will have a great love and appreciation of flyfishing. 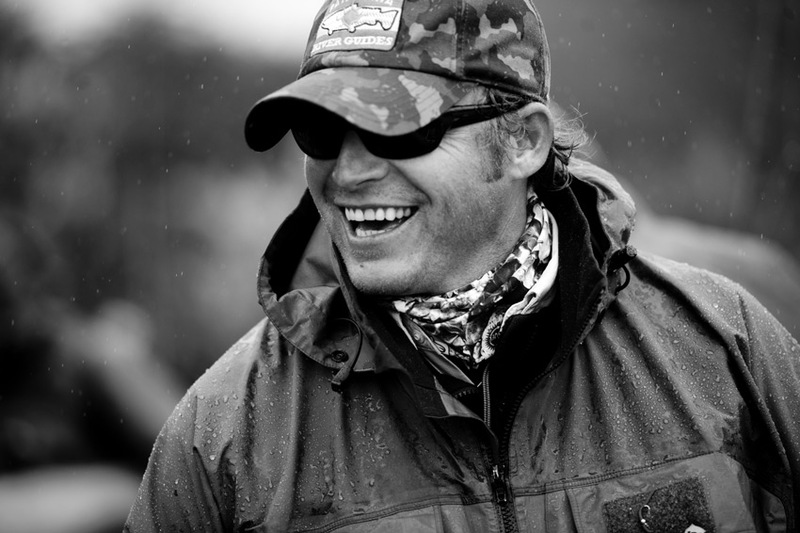 Travis Smith has enjoyed nearly twenty years guiding trout fishing in Montana, Idaho, Argentina, and Chile. He is one of the most well-known and most respected guides in all of the American west. 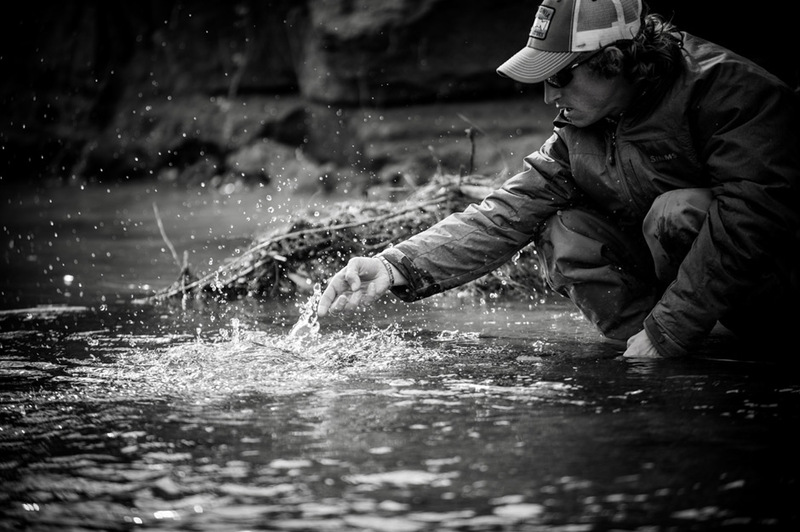 If you drop his name in a fly shop or a fishing bar, most will know him or of his reputation that is larger than life. He is a member of the Simms, Winston Rod, Hatch Reels, and RO Drift Boats pro staff, and is not only an excellent caster and fisherman but also an incredible teacher. Travis learned to cast and row before most learned to read and grew up fishing with his Dad and his buddy Rance on the Ruby, Big Hole, Beaverhead, and Jefferson Rivers in Montana. His laid back demeanor, sense of humor, work ethic, and endurance are second to none. Travis is one of the most personable and patient guides you will ever meet and a day spent with him is filled with great stories, many laughs, and screaming reels. He is an expert of stalking and catching selective trout thanks to over fifteen years of experience on the Henry’s Fork River. Apart from fishing, he is a gracious host and will make you feel like part of our family when you visit. Travis splits his seasons in Argentina and Montana with his beautiful wife Caitlin and adorable two-year old Tallula. Rance and Travis have known John since their first day in Argentina, and have been working together for over fifteen years. John is one of the most experienced guides in all of Patagonia, and for more than twenty years, he has been working as a guide, outfitter and manager of local fishing and hunting lodges. John’s laid-back demeanor, knowledge, fishing expertise, and teaching ability have won him unsurpassed praise from our guests. John knows most of the trout in Patagonia by name and is an expert on local history, flora, and fauna. Prior to becoming one with the fish, John worked in the beef industry. His knowledge of Argentine beef, cuts of meat, and ability to barbecue it can’t be outdone. He keeps the PRG quincho (barbecue house) in his back yard and hosts frequent barbecues for the PRG “think tank”. Although born and raised in Argentina, John reminds most of an Australian rugby player for the use of his perfect queen’s English and his intimidating size. John is married to his beautiful wife Valerie, who just so happens to be PRG’s masseuse and non-fishing guide. John and Valerie have two great college age kids, Melanie and Alex, who also work for PRG. Mauricio was born in La Pampa and raised in the Esquel area. He has been flyfishing his entire life and was one of the few anglers in the world that was truly born to be a flyfishing guide. Mauri joined PRG about a decade ago and was an instant hit with our clients and other staff as an assistant guide in our training program. After six years, Mauri graduated the PRG guide-training program and has been a full-time professional guide ever since. He has mastered not only stalking fish on foot but is an expert oarsman and is a favorite of many guests. Since Mauri was born to fish, he enjoys fishing in the off-season and has spent time in the American west as well as guiding in Bolivia for freshwater dorado. He speaks great English, is an excellent teacher and a great companion. A day with Mauricio is a day you won’t soon forget! Leo spent nearly a decade working in Chile at a well-known lodge where he was a natural fit as their head guide. Leo is now a father of two beautiful girls and his days of working in Chilean Patagonia are over with. Leo joined PRG in 2010 and immediately became one of the most requested guides. He also brought a following of anglers from around the planet with him because of his way of fishing, teaching, and showing others a great time. Leo has the most positive and upbeat attitude possible and his love of fishing is unsurpassable. In the off-season Leo dreams and reads about flyfishing while counting the days until the season opens. In his spare time, he makes incredible bamboo rods. They only made one Leo and a day with him will spoil you forever! Marcello was born and raised in the rugged Rio Pico region. For many years, Marcello ran the family pharmacy in Rio Pico – a good excuse to go fishing most every day! 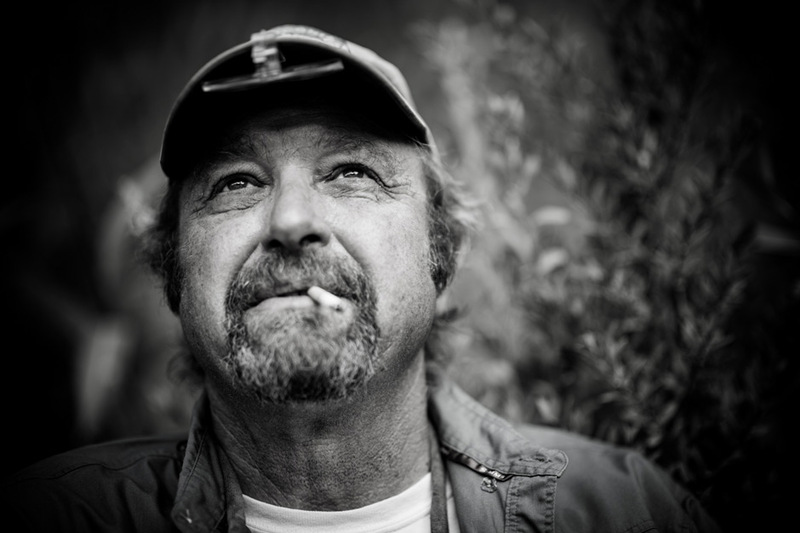 He is one of the area’s legendary anglers and guides and currently assists PRG guides and guests. If you happen go to Rio Pico you will be happy to have Marcello along for the adventure. He knows everyone and enjoys sharing stories and history of the Rio Pico region. Most importantly, Marcello knows the water better than about anyone in Rio Pico and ensures that guests are always at the right place at the right time. Although Marcello doesn’t speak a much English as others, he is a great person to spend the day with because fishing isn’t only about talking! 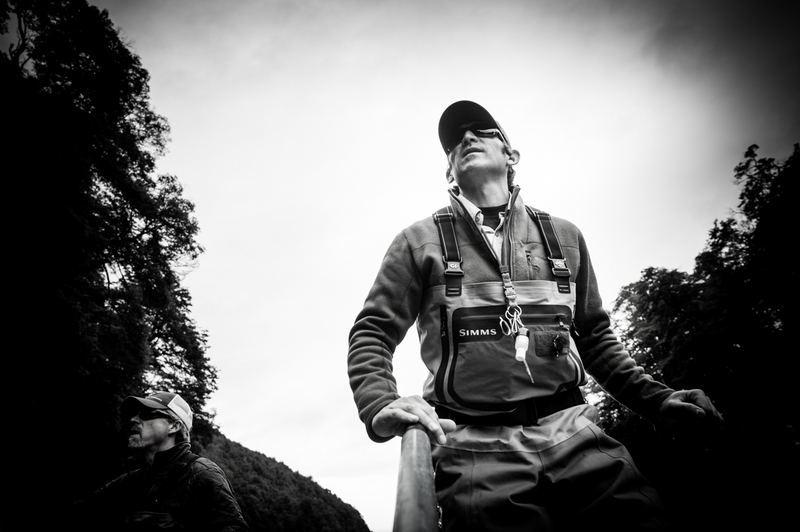 Adolfo has been working with the Patagonia River Guides crew since he was fifteen years old and was PRG’s first employee. He was born and raised in Esquel, and is very well known in the area since his family homesteaded there. 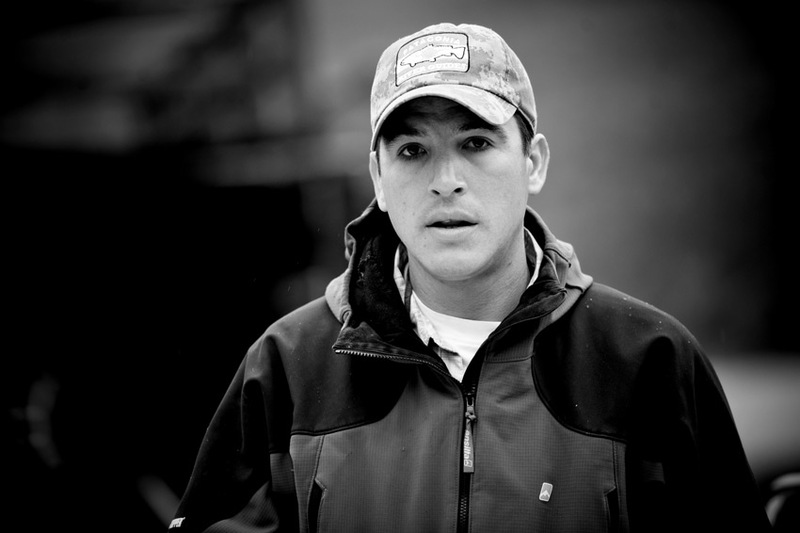 Adolfo is an extremely hard worker and provides PRG with logistic support, hunting guiding, and assists guides. Don’t be fooled because he isn’t a full time guide, Adolfo is an excellent caster, great fisherman, good oarsman, and great guide. He specializes on walk wading trips with other PRG guides and knows better than most how to put his clients on fish. His English is still a work in progress and the only thing holding him back from being a full time guide. Adolfo is a very fun guy to hang out with and will make you laugh throughout your day. In the winter, Adolfo is partner with Rance in Argentina Doves Unlimited and manages that program in Tucuman province. Juany grew up in Esquel and has been working for PRG since day one along with his cousin Adolfo. Juany is a very hard working guide and his gentle and laid back attitude makes him a great person to fish with. His understanding of Patagonia’s flora and fauna is excellent and his knowledge of local waters is endless. Juany is a logistic specialist and helps PRG with any and everything! Like Adolfo, don’t be fooled, he is one of the best casters in the area, has great eyes, and knows where the big ones live and how to catch them. Juany has a captains license and assists guides in the Los Alerces National Park to shuttle them to area hot spots. In addition, Juany has a professional chauffeurs license, is trained as a police officer, and loves photography. Juany is a great person and a great companion to spend a day stalking Patagonia trout. 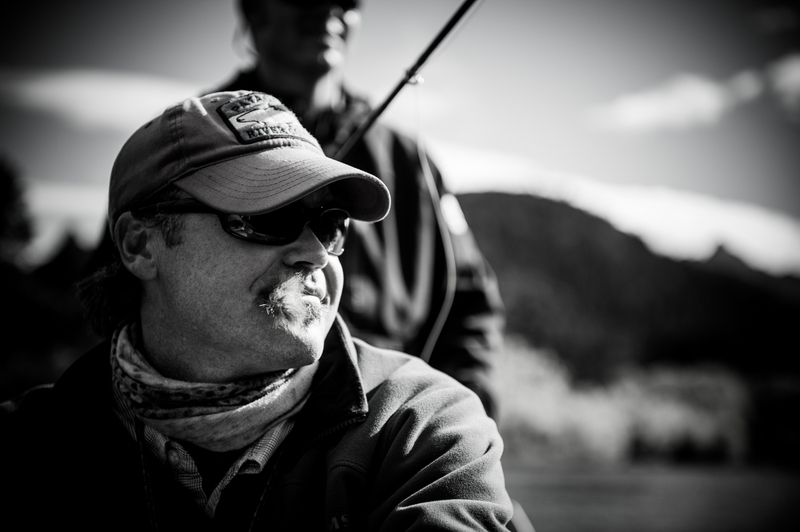 Johnny was born and raised in the area and is a second-generation flyfishing guide. His father was Travis and Rance’s first boss in Argentina and they have known him since he was just out of diapers. Johnny has an incredible sense of humor and is quick to help guests with anything they might need to have a great time. Although he is an assistant guide, Johnny is quickly getting his fair share of requests for full-day guide trips and takes extra trips when available. Johnny is a talented artist and enjoys sharing sketches with clients – lucky ones go home with an original piece. Johnny is sure to be one of the regions finest guides since he has been training with PRG for the past four years. 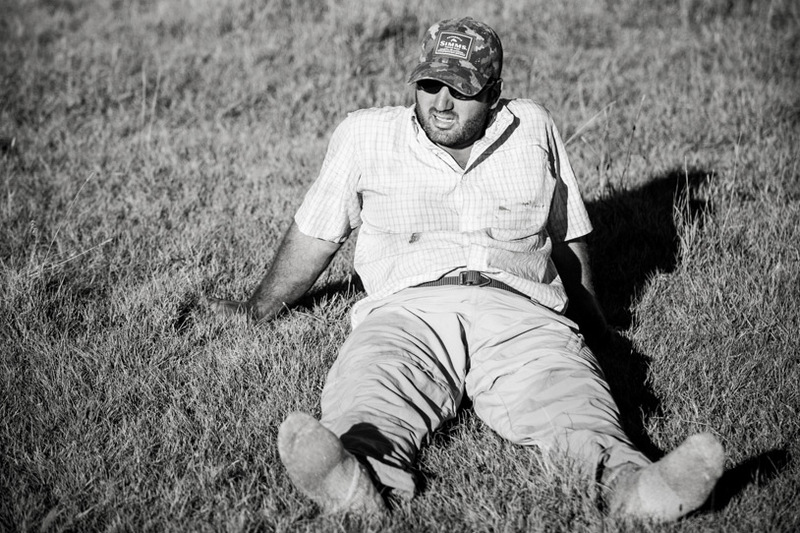 Julio, born and raised in Esquel, has many years working in the fishing and hunting industry. Rance met Julio the first day he was in Argentina and they became great friends back when Rance couldn’t speak a word of Spanish. Julio helps PRG as an assistant guide and specializes in doing just about everything perfectly and with a smile. Julio has an unforgettable smile and sense of humor and guests enjoy fishing with him as much as anyone. Julio spends his winters in Salta province fishing for dorado and working with Rance and Adolfo at Argentina Doves Unlimited. 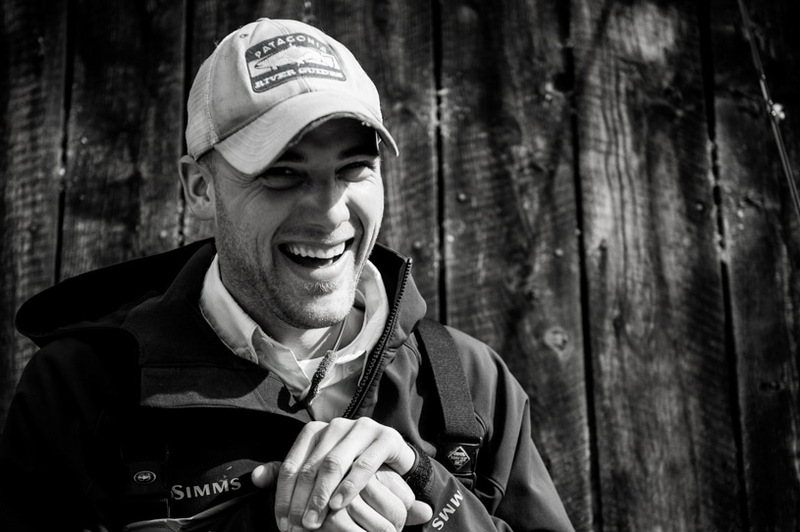 Alex is the son of John Roberts and was taught to fly fish by his father. He grew up in Esquel and has been working for PRG as an assistant since he was in high school. Alex speaks great English, always has a smile on his face and is a fun guy to spend the day with. He is one of the top basketball players in the Chubut Province and stands at about 6’5”. His height helps him spot fish that most guys would never see at a lower vantage point. He spends his off-season in Cordoba studying economics. Alex was born and raised in San Martin de los Andes and educated in an English boarding school in Buenos Aires. He caught his first fish on a fly rod at age nine and never looked back. In high school Alex would take tourists and friends fishing just for fun and in 2000 became a professional guide. 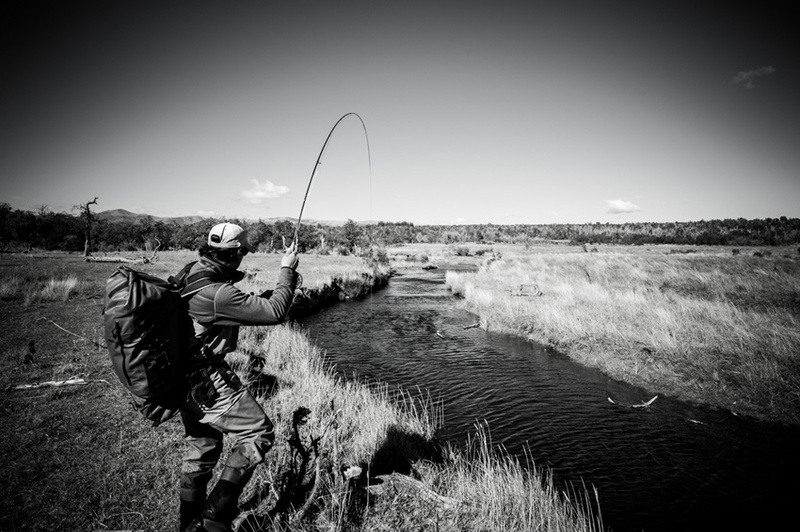 He realized that guiding was the best way to stay in Patagonia and to live and immerse himself in flyfishing. 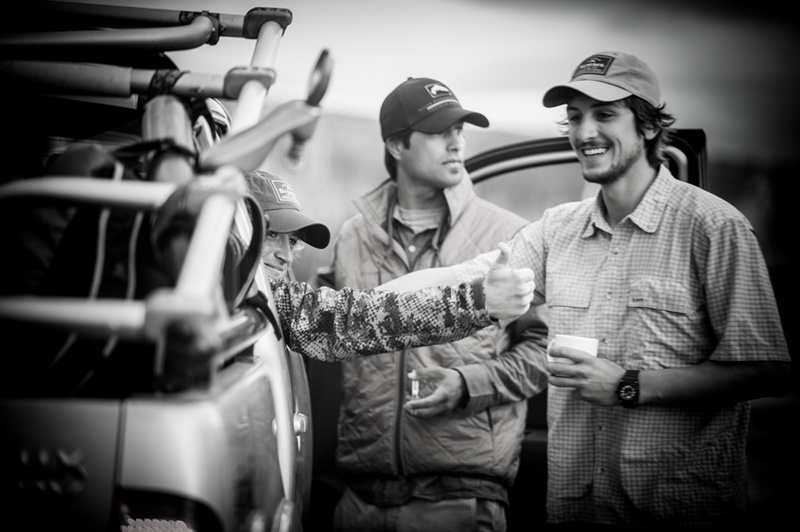 A decade after working for area outfitters and traveling to fish, Alex partnered with Patagonia River Guides and helped form the incomparable PRG North private estancia program. Alex is an expert angler and a great leader. He is the only Argentine member of the Winston Rod and Hatch Reel pro staffs. Alex offers all the experience and charisma necessary to extend the signature PRG standard of service and unforgettable flyfishing on his home waters. Alex is also a semi-professional photographer and enjoys taking pictures when he doesn’t have his hands on the oars. Peter was born and raised in the town of San Martin de los Andes by his father who is also a guide. He was introduced him the outdoors at an early age, and Peter has enriched himself with non-stop experiences into the wilderness ever since. Today flyfishing occupies almost of his time, thoughts, and energy. Peter has spent every available minute over the past years fishing, tying amazing flies, and guiding on the area waters. He now thrives on helping others enjoy what he knows best and loves the most. Peter is a gentle giant and a day spent with him will be filled with laughs and many a bent rod. Santos moved to San Martin de los Andes and straight into flyfishing at the age of twenty. In a very short time, Santos has moved up in the sport to become a very respected guide by his clients and colleagues. Having learned from some of the best guides in the region – including Alex – he has all the knowledge and skills to lead you on an amazing flyfishing adventure. Santos is a nice guy with a great personality always eager to go the extra mile to please guests. Even though his nickname is El Chiquito (little guy), you will think he is seven-feet tall with his fish spotting abilities and will understand why being short is a great advantage when stalking fish. He thrives on technical dry fly fishing, but don’t worry, he feels right at home twitching hoppers and chernobles when appropriate. Facu leads the PRG North support team and is a natural for that job being born in the region. 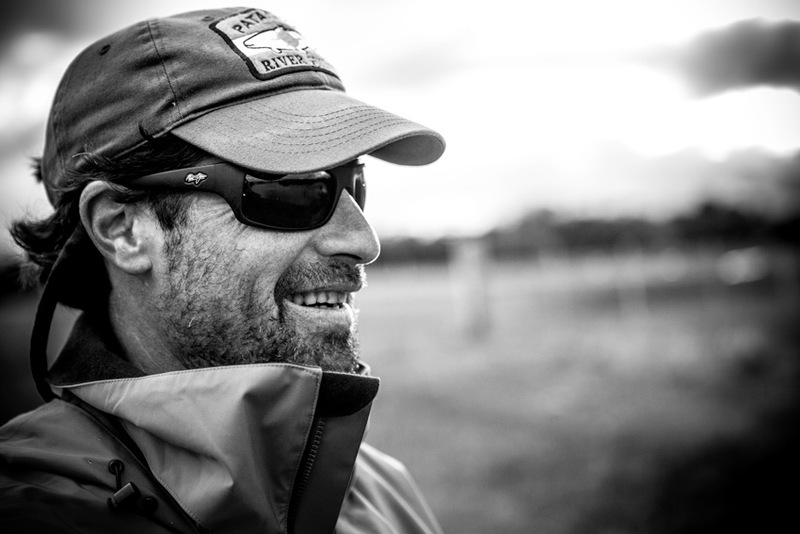 Facu has a love of the outdoors much like all the PRG guides and assistants but likes most to be “out there”. The “unplugged” program would not be possible without his logistical and planning support of the program and also his hands on assistance and work at the camps. Facu speaks nearly perfect English and is also a skilled guide when walk wading. Simply put, if you had to be stranded somewhere, you would want to be with Facu to enjoy his sense of humor, kind spirit, and ability to catch dinner! 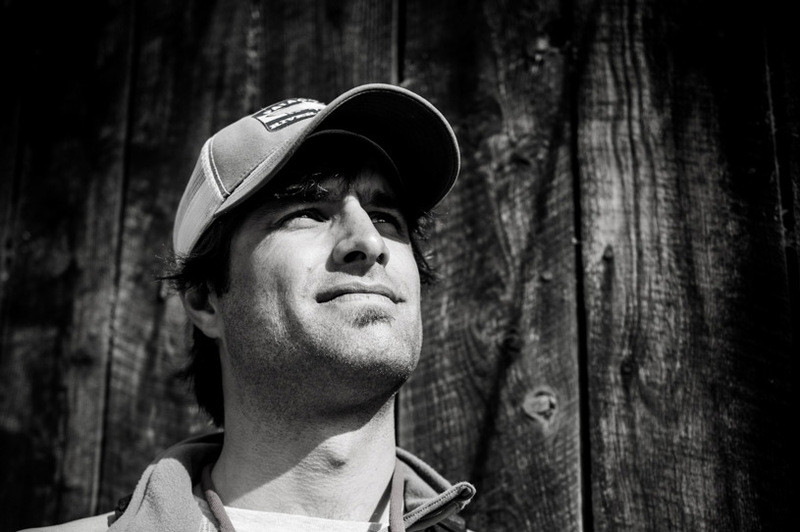 Facu enjoys snowboarding, biking, and spending time with his wife and two children when not working.